Birdsnest: Major Australian retailer with thousands of pre-assembled outfits customized by body shape. What does this mean? With a few clicks, you can see thousands of outfits that flatter the apple body shape. This is the truth: the body shape sitewide search is the gold standard for the hundreds of webstores I’ve seen. Innovative and a game changer. I’m in the US, but I like the clothes from Birdsnest so much, and value the ease of using their site to find what I need, that I simply pay the small amount extra for shipping. Ships internationally (items usually available in all sizes, including Petites, Plus, Maternity, and Tall). Igigi customers can also search their entire inventory by body shape. Igigi primarily makes designer dresses and wedding dresses for women size 12-32. I have SO many dresses from IGIGI I’ve lost count. They’re one of my favorite plus size stores online. It’s so easy to use their website and find discounts. Also, worth knowing: you can also find prior year IGIGI fashions (and sometimes, better prices) on sites like Amazon.com. lets you customize all clothing by your height, shape, and specific measurements. You can customize ALL aspects of the outfits, like sleeve style and length, and hem length. 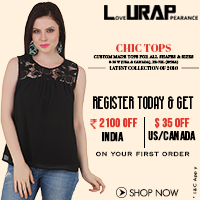 Lurap also offers ethnic wear, and ships to the US, Canada, and India. HIGHLY recommended! Aliexpress has an amazing range of products at EXTREMELY reasonable prices. Many of their products are available in S-5X, meaning there’s something cute and affordable for everyone. Another thing I like about Aliexpress: the wide range of models they feature, including many averaged sized models, which is rare – models are generally SUPER skinny or fake plus sized. They really do have models who are in the size 6-10 range, of varying body shapes! Society Plus has SUPER fun plus size clothing. Stuff I’ve never seen in other plus size stores online, including flared skirts, retro-dresses, sequents and tutus (yes!) as well as basic staples for business casual. They also deserve a shout-out for having some of the best plus-sized models online – an unbelievable range of body shapes, ethnicities, and sizes. Lane Bryant needs to take a hint, or they’re gonna get wiped off the map by these smaller, better targeted clothes makers! Shop Your Shape – a good blog for all body shapes, with fashion tips. The Body Shape Bible – great book with detailed tips about how to dress all body types.